Property 3: Spacious, First Floor Corner Unit, brings outdoors in w/ magnificent pond view! Property 5: ***Cancellation Special*** April 21 to 23 *** Have a quick break!! 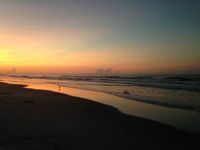 Property 13: SUNSET BEACH Golf/Beach - RENTING FOR 2019! Property 31: Incredible beach front property with amazing views of the ocean and inlet! Beautiful Oceanfront 3 BR/3 BA-Linen provided. Property 32: Beautiful Oceanfront 3 BR/3 BA-Linen provided. 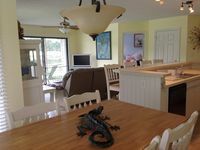 Kindred Hideaway, Modern Amenities With Nautical Beach Decor 2 Miles From Beach. Property 35: Kindred Hideaway, Modern Amenities With Nautical Beach Decor 2 Miles From Beach. Property 38: Wonderful, Relaxing, Family Destination! 🏄🏼🌊⛵️⛱ 4BR/4BA condo in OIB! Property 39: Ocean Front, Newly Updated 3 Bedroom with Pool! Property 44: Spend your Winter in our Sea Cabin. Private Pier and Sunshine awaits! Property 47: Steps From The Beach!